Guess where they hide out? The only place there’s room…in your fat cells. Fat cells are your body’s storage tanks and the first place your body looks when it needs to dump damaging toxins. The vicious cycle of inflammation is the result. This unhealthy state of inflammation ends up fighting our natural hormonal responses to hunger and food causing our delicate appetite regulation hormones to go off kilter which prevents us from knowing when we are full…causing us to overeat. It also stirs up all kinds of unhealthy insistent food cravings. A diet heavy in refined and processed foods causes inflammation. Many times it’s from sensitivities that go undetected for years yet silently in the background they’ve been damaging your health by causing inflammation to your body’s tissues and cells. When you dump toxins in your body your body goes to work hiding what it is not able to rid itself of and your cells become large and inflamed. These toxic stressors can come from the environment, the foods we eat and even our emotions. An inflamed cell cannot work properly and release their fatty acids back into the bloodstream so that it can be burned up for energy. The only way to correct this and restart your fat loss is to cleanse your body of its toxic load. Not only will these toxins have your body holding onto stored fat, it can have you storing new fat more easily. The more toxic your body is and the more enlarged fat cells you have, the more likely your body will be holding onto your fat stores. Thank goodness the body has a built in system of pipes and filters to rid itself of toxins. Unfortunately, for most, they are overloaded already and not able to keep up contributing to the cause of a weight loss resistant body. 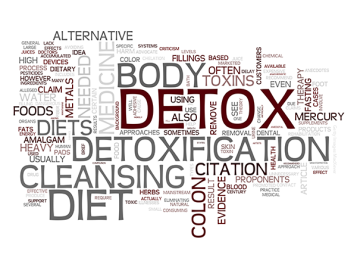 Once the total “toxic load” is reduced your other organs of detoxification such as your skin, liver and lungs will better be able to handle toxins released from your fat cells enabling you to kick-start new and much easier, effortless fat loss leading to better overall health. The truth is all your toxic overload has more to do with the actual foods you are eating and not so much you are actually eating. It really doesn’t matter if you are eating all low calorie foods. 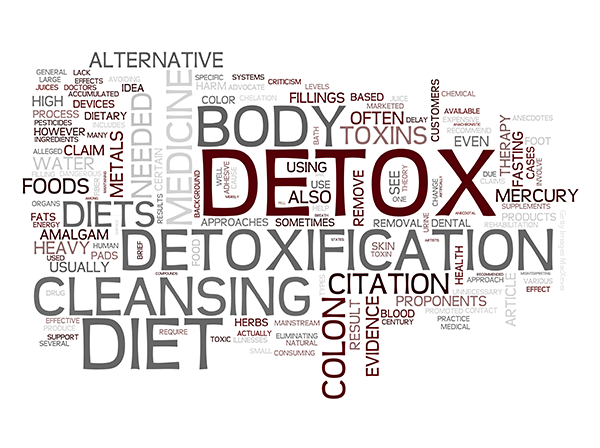 If these foods are processed foods then you are introducing toxins into your body. Needless toxins that make your body work harder. Refining and processed foods remove nutrients leaving you with a dead shell that might please your palate temporarily but is silently causing your body inner turmoil by introducing a ton of chemicals and processes. Low calorie, high calorie, they all have toxins. It’s not about the calories in your foods but about the quality of the nutrients in your foods. Eating better isn’t hard. It requires you to look for foods that have a high nutrient ratio to calorie value. Look for foods that contain lean protein, vitamins, minerals, complex carbohydrates and healthy fats. It’s time to shift your mindset of thinking about food as your “pleasure moment” to thinking of food as fueling and nourishing your body. Nothing wrong with a bit of pleasure but it should not be what drives you to eat. It should be the bonus…the reward for treating your body well…not for indulging your senses. It’s interesting to note that nutrient dense poor foods generally have the longest labels attached. The opposite is true of nutrient dense foods…their labels reflect the fact that they are not processed and refined but served from nature’s bounty as close to their natural state as possible. Nutrient poor foods are empty calories. They serve no purpose except to contribute to your toxic/fat issue. If it’s high in sugars, unhealthy fats and chemicals then stay away. Nutrient-dense foods are critical to combat weight loss resistance and key to obtaining optimal health. If you seem to be at a stand still and just need the right coaching to get you back on tract with your diet and exercise program, “Stop Weight Loss Resistance” does all that and more.